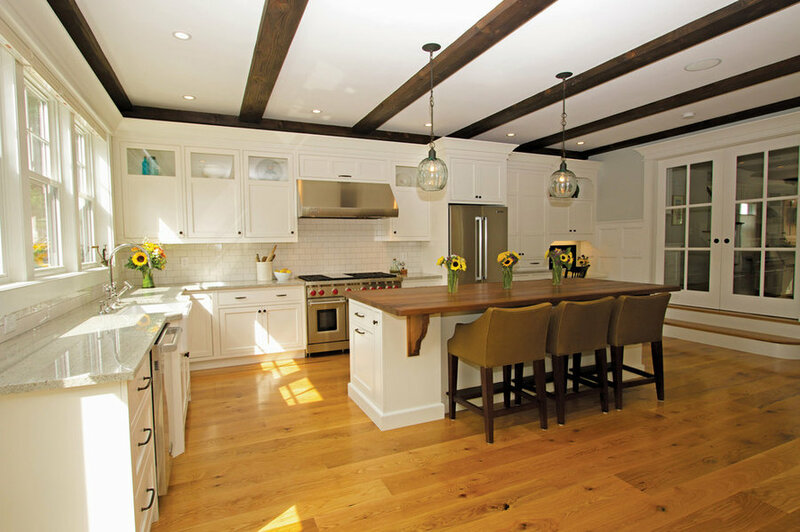 The most admired kitchen on the Newburyport, MA Kitchen Tour in 2014. 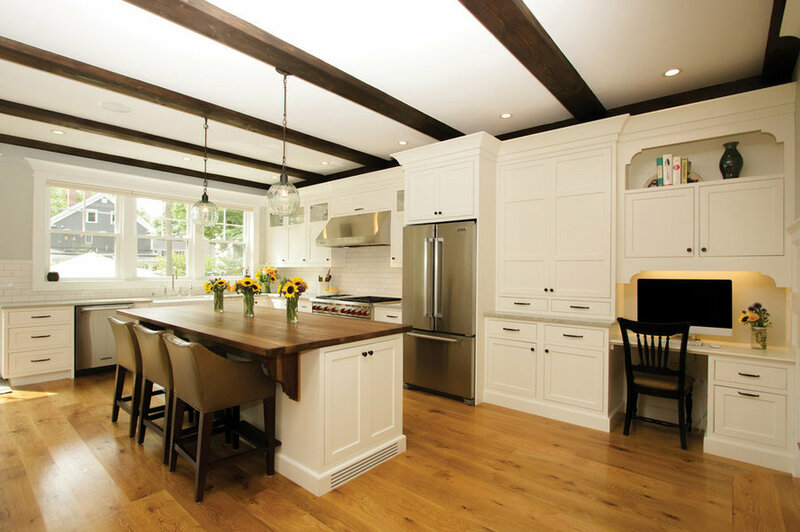 The focal point of the builder's own home, this kitchen addition is used to showcase his work as well as ours! Cabinetry is custom made by Candlelight Cabinetry, beaded inset with the bead on the frame. 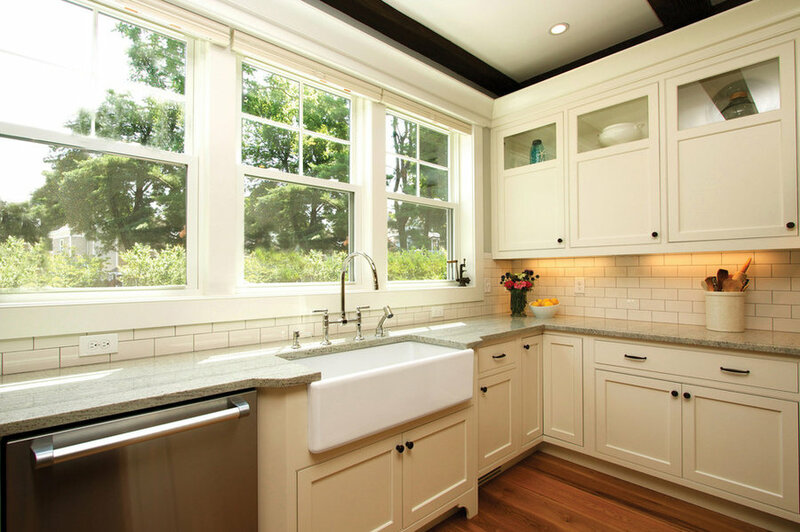 Door style is a flat panel sophisticated Shaker style named Chesapeake. Color is Aurora White, a very soft, warm off white. 10/0 high ceilings with dark exposed beams and 5" coved crown molding. The room is 28/0 long with 2 steps up to the living room. Backsplash is 3 x 6 white subway tile with light grey grout. Granite countertop is Kashmir White. 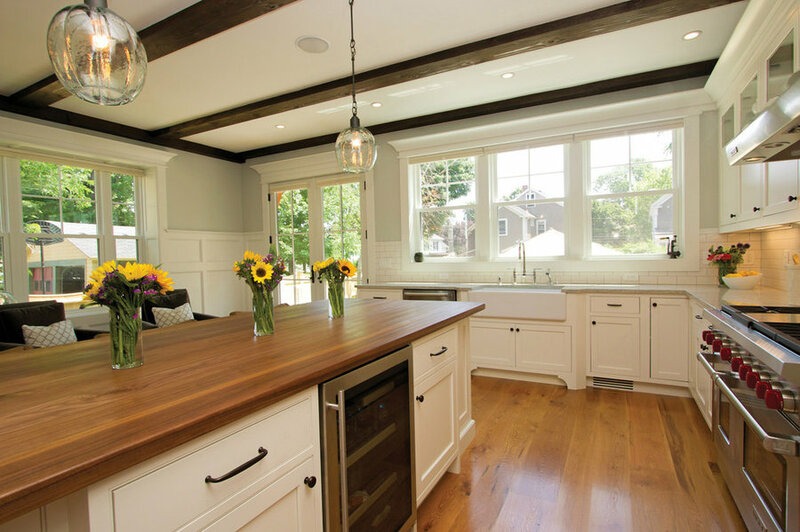 Island countertop is a handcrafted Walnut with oiled finish. Support brackets are also hand crafted Walnut. The floor is rustic Hickory, random plank. Farm sink is Shaws fireclay.